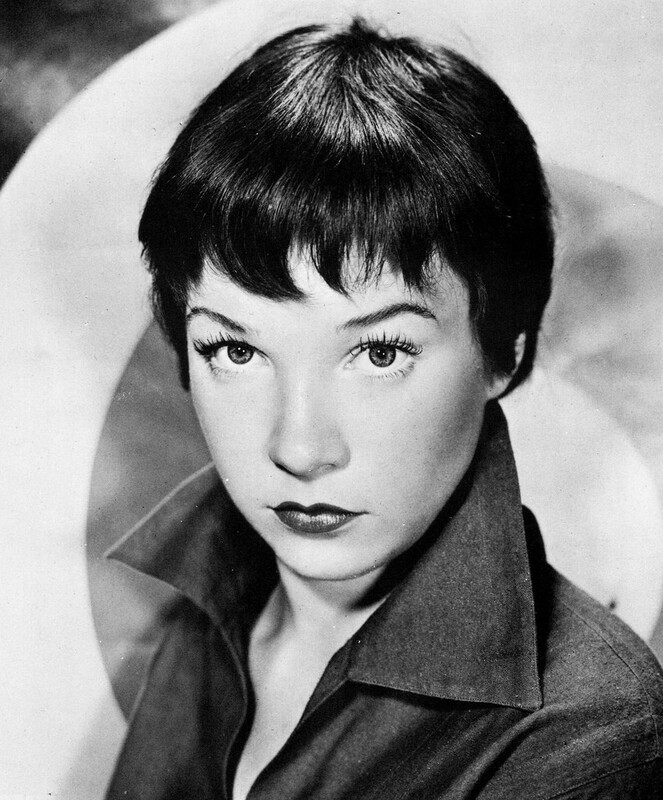 As famous theatre stories go, the one about the night Shirley MacLaine (as understudy for Carol Haney) went on with a moment’s notice in The Pajama Game is pretty much up at the top of the list. Although there have been certain particulars added over time — after all, it happened sixty-three years ago — the underlying facts are 100% true. Having first posted a column on this subject exactly a year ago, I thought that a few new interesting tidbits I discovered since might prove enjoyable. This tiny slip of paper fell out of a June, 1954 Playbill that I bought at a thrift shop about 10 years ago. Of course it carries with it a scene as old as when films first began to talk and sing — the understudy who goes on in a pinch and becomes a star overnight. This one goes like this: At age nineteen, MacLaine made her Broadway debut in the chorus of Rodgers and Hammerstein’s Me and Juliet, a rare misfire by those famous hit-makers who were more used to their shows sticking around for a thousand or two thousand performances, like South Pacific and Oklahoma! had done. Me and Juliet was nothing to sneeze at, as it provided a year’s run on Broadway for MacLaine and company. But before that year was out, MacLaine left Juliet when she got herself cast in the new musical, The Pajama Game, celebrating her twentieth birthday while the show was out of town during its Boston engagement. 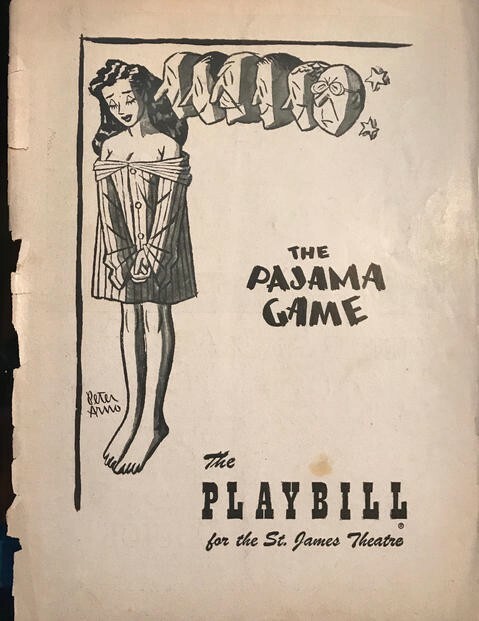 After its hit opening night on May 13, 1954, Pajama Game would go on for 2 1/2 years on Broadway and clock in over a thousand performances. However, after only a month of shows, MacLaine was already tiring of being in the chorus. She had no lines to speak and though cast as understudy to Carol Haney in the show-stopping role of Gladys (the character who gets to sing and dance “Steam Heat” and “Hernando’s Hideaway”), Haney had the well-known reputation as someone who rarely (if ever) missed a performance. 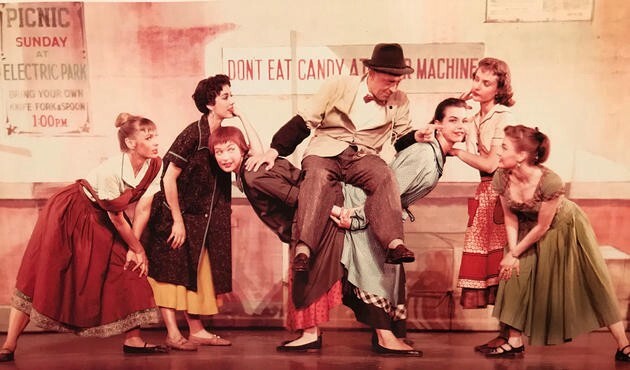 ​​MacLaine (the redhead) with “Pajama Game” star Eddie Foy Jr. on her back (1954). 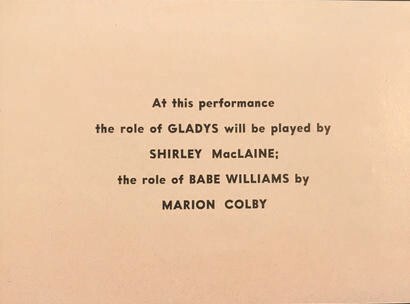 So it was on this date, June 29, 1954, that MacLaine had hustled herself another understudy gig in a different show just up the street from the St. James Theatre where Pajama Game was playing: Cole Porter’s Can-Can at the Shubert. MacLaine felt she had a better chance of going on for the newly discovered Tony Award winner, Gwen Verdon, than she ever did for Haney, and accepted the job on the spot. Sidebar: The Pajama Game marked a series of firsts for those three particular guys waiting at the stage door. It was Prince’s first time out as a producer. He followed up immediately with another show from the same team, Damn Yankees, and in quick succession became Broadway’s leading producer of musicals with hits over a fourteen-year-span like West Side Story, Fiorello!, A Funny Thing Happened on the Way to the Forum, Fiddler on the Roof and Cabaret (which he also directed). Robbins, already the established choreographer of his day, got his first directing with Pajama Game (albeit a co-credit with the venerable George Abbott), and for Fosse, it was his first time listed in a Broadway Playbill as a choreographer. As the legend goes, the Academy Award winning film producer Hal Wallis was at the show that night. He loved what he saw and signed the unknown to a five-year Hollywood contract, resulting in her starring in Alfred Hitchcock’s next picture, The Trouble With Harry. That part of the legend is true. It’s also true (and it adds another layer of improbability), that the offer from Hitchcock came only after the great man himself was in the audience on ANOTHER night when Haney was out and MacLaine was on. Hitchcock then had to do some fancy wrangling in order to borrow MacLaine from Wallis, who with his ironclad contract, exclusively owned loan-out rights for her services. If you find these tall-tales hard to believe, all these stories are in MacLaine’s own words from interviews she’s given over the course of her now sixty-four year career. New Yorker cartoonist Peter Arno’s famous poster art. It’s been an incredible career, but one that was the film world’s gain and the theatre’s loss. Except for her nightclub act, after The Pajama Game, MacLaine never appeared in another legitimate musical on stage. is a writer, actor and director whose book, “Up in the Cheap Seats: A Historical Memoir of Broadway,” is available at Amazon.com.